This novella surprised me! I was in the middle of yet another book slump and nothing held my attention. I was discarding books left and right, and thought I'd take a chance on this one, because I really loved Lumber Jack In Love by the same author. I was offered this book for review, but turned it down because I really didn't think I could get into a romance where the couple was over 40, but you know what? I was soo very wrong. I bought this with a gift card, and am so glad I did. No one was more surprised then me when I totally got behind the romance, and loved the sparks between Tom and Beverly. The two are complete opposites, but tolerate each other because their kids are married to each other. Due to different circumstances, both find themselves single at an older age and because of the Thanksgiving holiday are forced to be together to have a good holiday for their children. Their kids are worried that their parents might kill each being left alone for the weekend, and no one is more surprised then Tom and Beverly when they find out that they just might like each other. I loved how they were complete and utter opposites-Beverly was miss prim & proper and Tom was just stubborn and set in his ways, yet both these things work to calm the other one and it was just plain fun to see them tear into each other and fighting the disbelief that they just might like each other a bit more then fun. 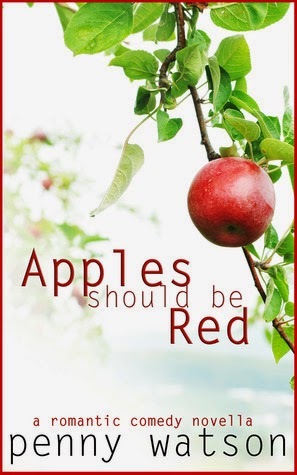 Apples Should Be Read was a refreshing read, and is a great read for anytime of the year.